Faithful readers will recall our last episode, when our plucky hero (that would me) was left in a pickle. 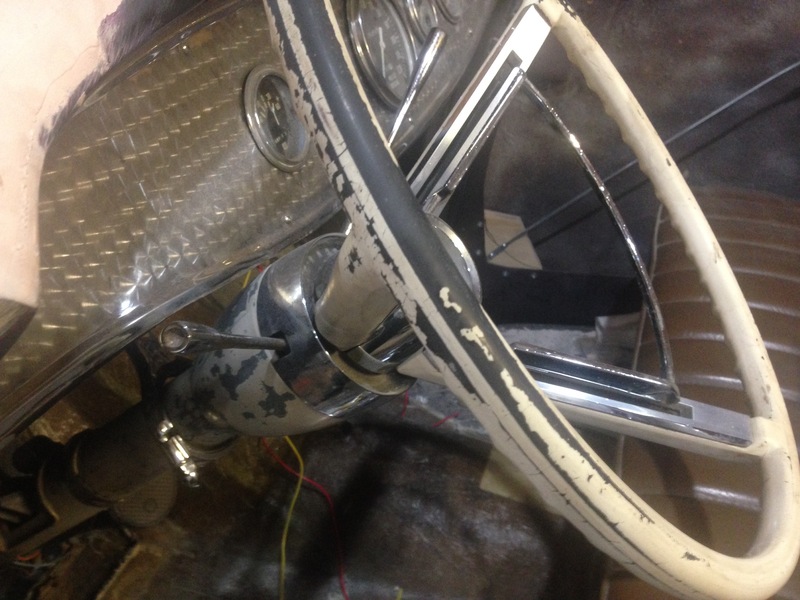 Carburetor linkage that didn’t fit, brake hoses the wrong size, a driveshaft tunnel in the frame that wouldn’t clear the shaft and similarly flat floor. 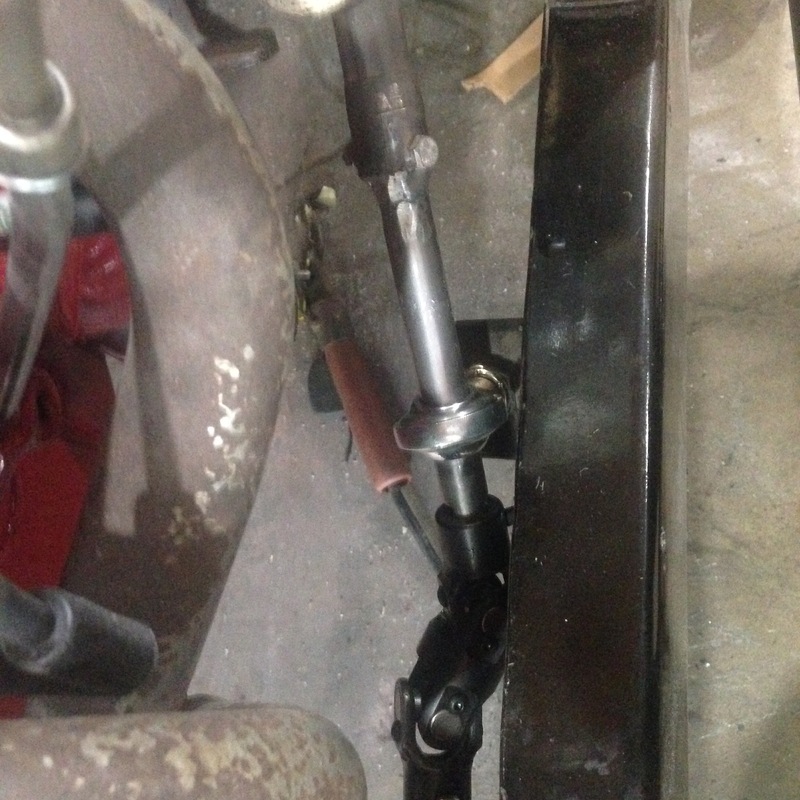 Did we mention the owner of the driveline local shop hurt his back and couldn’t make the driveshaft? Well, the Cavalry arrived (in the form of the UPS truck)! Steering shaft support bearing and bracket made and mounted! Throttle linkage fabricated, looks and works beautifully! Driveshaft tunnel in the frame modified and new floor tunnel in progress (thanks to another chunk of cardboard shipping tube and a yard of fiberglass mat my friend Steve [Mutant Brothers] gave me),and new brake hoses from the local NAPA store!